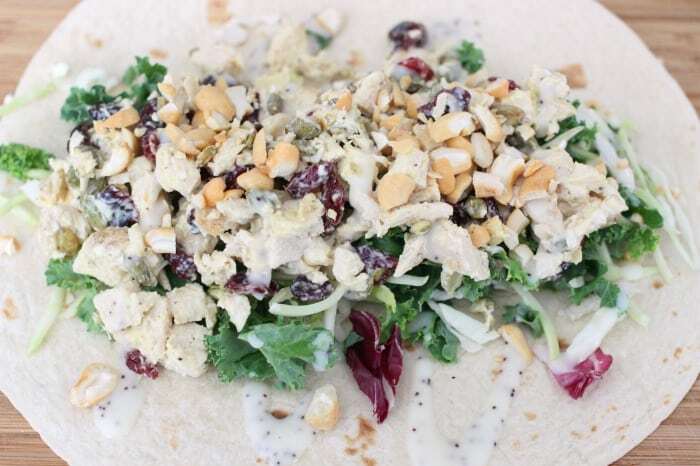 Make this Chicken Salad Wrap with cashews and poppy seed dressing for your next lunch. You won’t regret it! 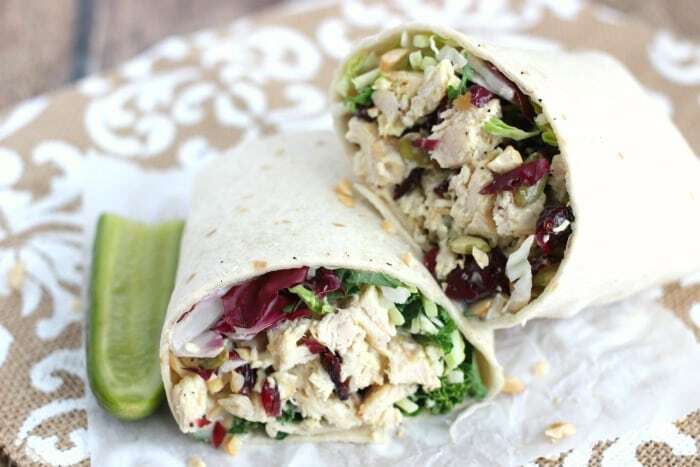 This Chicken Salad Wrap is awesome! P.S. Chicken salad is a thing I love. I love it because it’s delicious, but also because it can be delicious in so many ways. 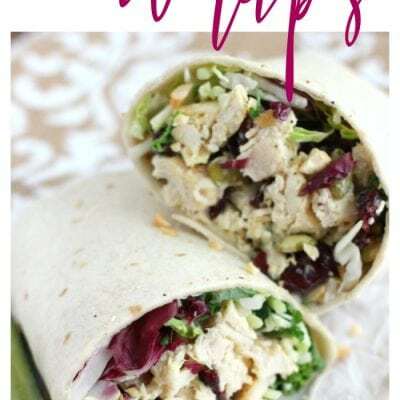 You can make traditional chicken salad with mayonnaise and celery, you can make Indian chicken salad with curry and dates, you can make a fruity chicken salad with fresh grapes and almonds, or an Italian chicken salad with oregano, parsley and fresh tomatoes. 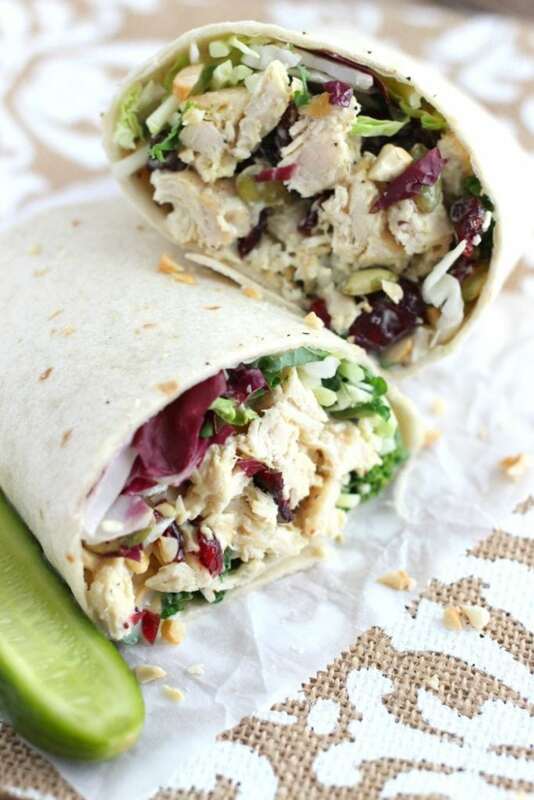 Or you could make this delicious Chicken Salad Wrap with cranberries, pumpkin seeds, poppyseed dressing, and kale. Then wrap it up all up in a tortilla and serve it with a fresh refrigerator pickle. You could do that. I did that. It was delicious. 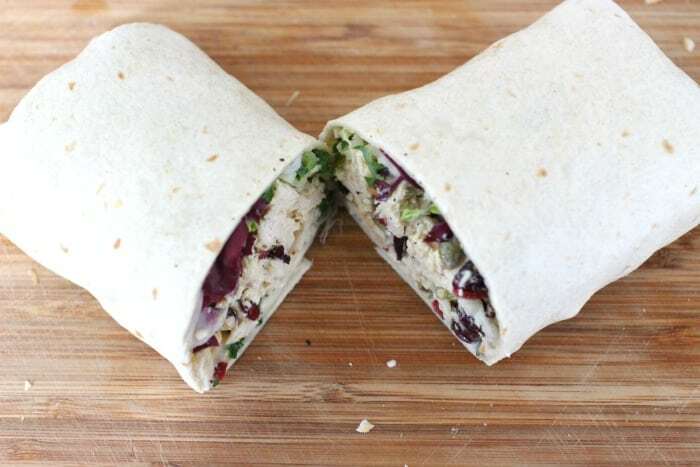 This Chicken Salad Wrap was developed in partnership with Eat Smart and Walmart. 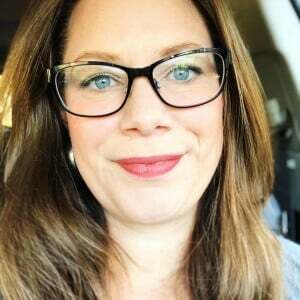 All recipes and opinions are my own! To make things easy, I used the Eat Smart® Sweet Kale Gourmet Vegetable Salad Kit available at Walmart. 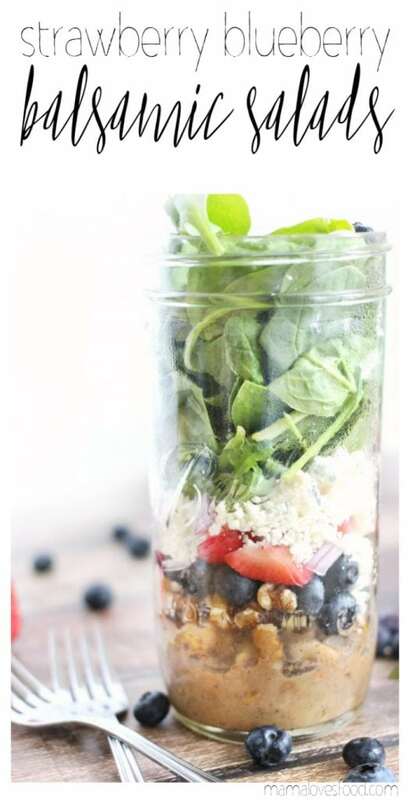 It contains provide an array of 7 superfoods, including kale, green cabbage, broccoli, brussel sprouts, chicory, roasted pumpkin seeds and dried cranberries, as well as a packet of poppyseed dressing. Tortillas or preferred wrap or a bowl! 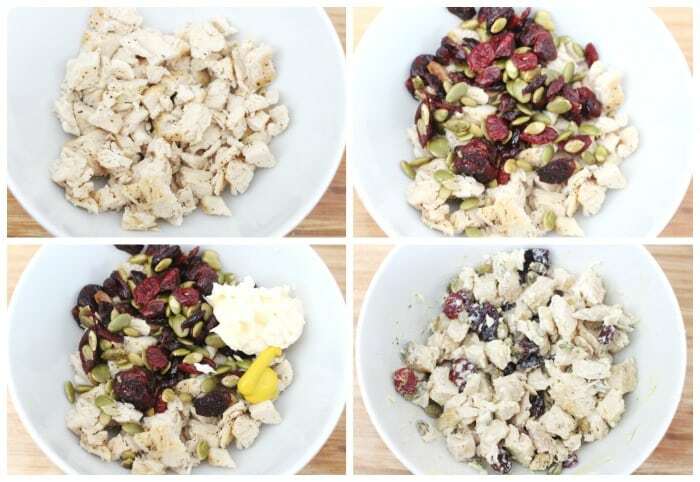 In a bowl combine chicken, cranberries, pumpkin seeds, mayonnaise, and mustard. Mix well, until you reach desired consistency. Lay your tortilla flat and place kale mix along the middle. 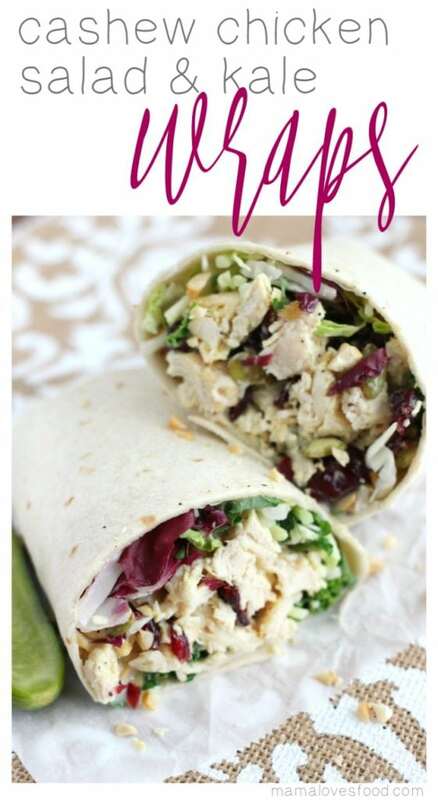 Top with chicken salad, then drizzle with poppyseed dressing, and sprinkle with cashews. Roll up tightly like a burrito and slice in half. Serve with a fresh garlic dill pickle and ENJOY! 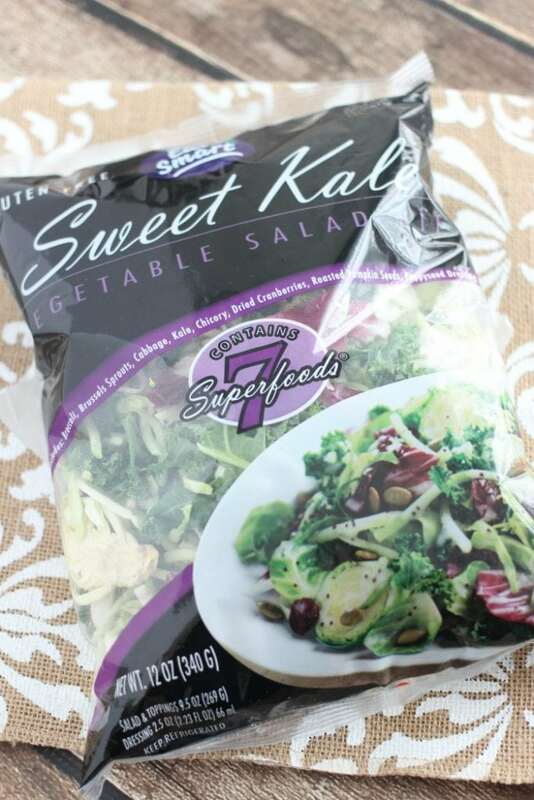 The Eat Smart® Sweet Kale Vegetable Salad Kit is available for purchase at Walmart and you can find a coupon for $2 off at Wal-Mart here: https://www.eatsmart.net/coupons/savings/. Eat Smart® Sweet Kale Gourmet Vegetable Salad Kits are an easy and convenient way to eat your superfoods any time of the day. 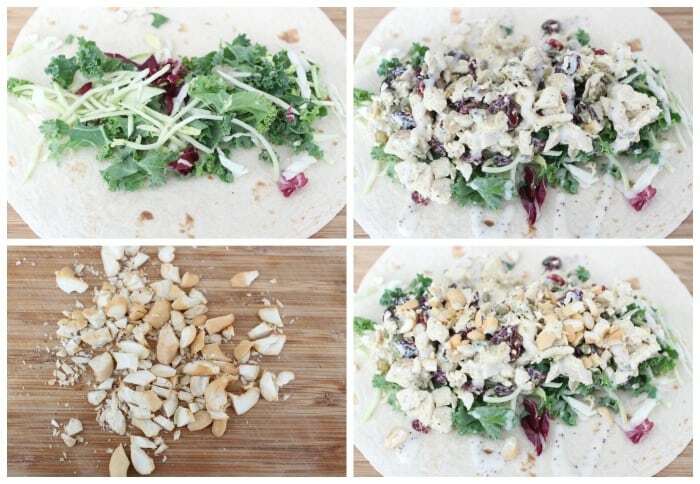 The kids are a unique blend of seven superfoods: kale, green cabbage, broccoli, Brussels sprouts, chicory, roasted pumpkin seeds and dried cranberries, plus a poppyseed dressing. This is a sponsored post written by me on behalf of Eat Smart® . All opinions are 100% mine. all those salads seems delicious! I'll try. What a great way to use bagged salad. I love this idea. I am adding the ingredients to make this to my shopping list! I can’t wait!